What is this madness? HOW FREAKING COOL!!!!! 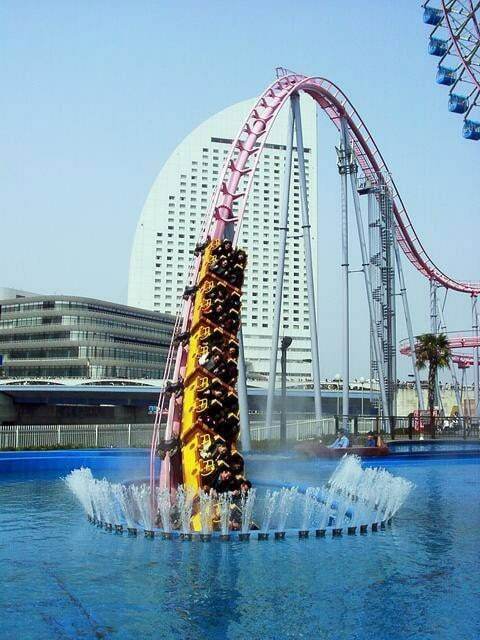 Apparently, this roller coaster is up and running in Yokohama, Japan. I’ve always wanted to head east – Far East – and this just gave me another reason to save up my pennies. I’m happy my kids have inherited my lack of fear. Bill and I always make sure to throw the kids on whatever they are tall enough for. If they ever saw this one… oh my word!